Jen is gonna lose it! : Self Reward ! 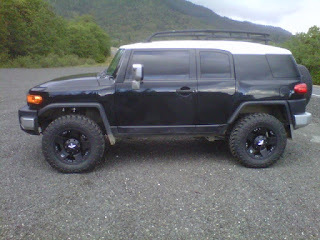 As mentioned on my Vlog, I got me some new tires and wheels for the FJ...Sort of a self reward and early BD present. I have nothing exciting to blog about. I've been really homesick lately. It's bumming me out because I can't see a trip home in my near future. 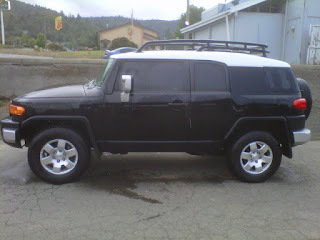 When I say home, I am talking about a town called Martinez, California. I've been a transplant here in Oregon about 7 years now but I still miss "home" now and again. Busy, busy the next few weekends. My daughter is graduating from college and we will have some company. The following weekend is my Sons 18th BD, then Father's day weekend. Uggh! Stop this ride and let me off! 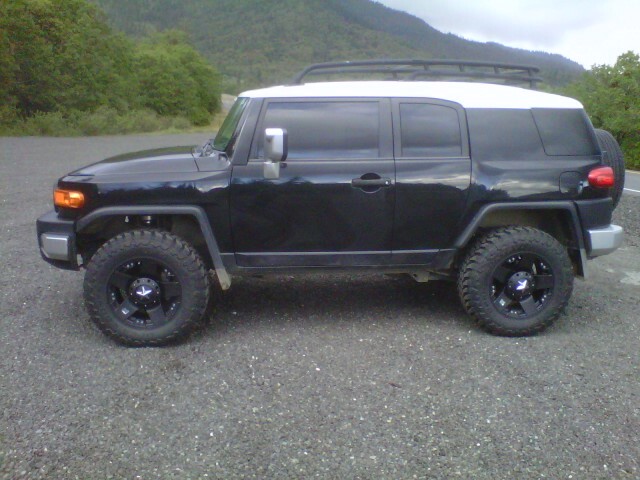 Love you car!!!!!!! And Happy Birthday! Sounds like a busy time. Cool car!!! You have a lot to blog about! How exciting to have a child graduating! Life is good! Set a date (even if it is way down the road :) and go visit your hometown. You have great wheels to get you there now.